When your explosive storage & transport containers need to conform to 1.4S UN Classification, Energetics Technology can offer you a solution. Our UN 1.4S Munitions Boxes prevent sympathetic detonation and contain blast and secondary fragmentation enabling personnel to store and transport different explosives in the same vehicle, thus providing the best safety available to personnel as well as offering the opportunity for cost effective combined transportation. 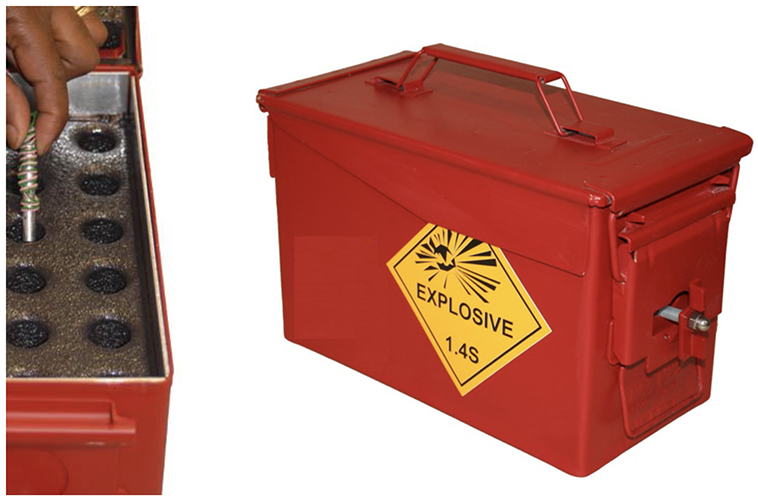 Our UN 1.4S Munitions Boxes are fully tested and compliant to 1.4S UN Hazard Classification. 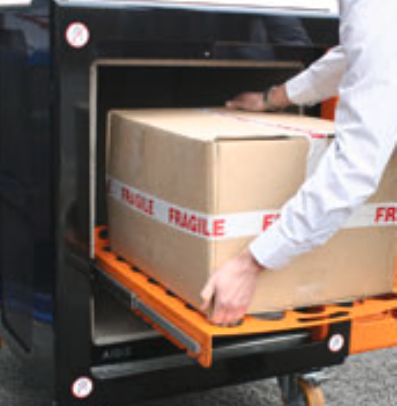 The Grenade Carrier Unit (GCU) Trolley System reduces the hazard classification and compatibility group from 1.22F to 1.4S, thus improving personnel safety when storing and transporting grenades in a ready state. The GCU can be integrated into a suitable vehicle and is currently used by the military, police and canine units worldwide. 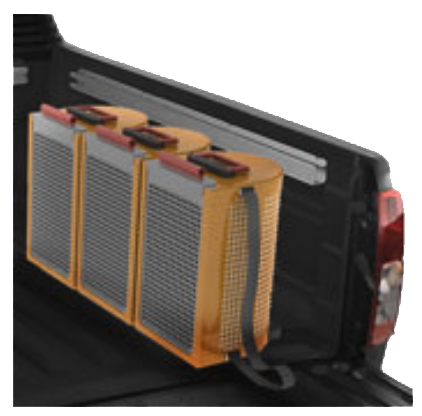 The TEP 700 Time Expired Pyrotechnic Mitigation Unit enables the HT4 storage and UN 1.4S Hazard Classification transportation of time-expired pyrotechnics in one unit. The design allows the complete mitigation of flame and flare effects and eliminates propagation within the unit.The rapid burn and high temperatures of pyrotechnics is suppressed utilising our SABREMAT™ materials which enables large storage NEQs with a small footprint.